Ship recycling activity has picked up considerably over the course of the past week, as a result of upcoming Easter Holidays and the Monsoon season in the Southeast Asian peninsula. 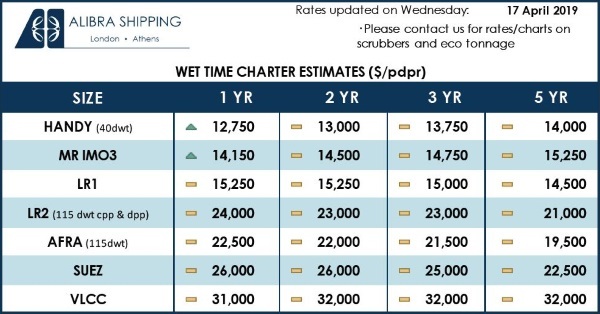 In its latest weekly report, shipbroker Clarkson Platou Hellas said that “the latest spike in price levels appears to stem from an incentive from the end users in Bangladesh to place tonnage on their yards prior to their budget announcement in the first week of June. The rumors from the waterfront suggest that heavy import tax increases will be imposed which is pre-empting the local recyclers to continue their aggressive stance to ensure they have tonnage on their yards in case these rumors bear fruition. This position currently being experienced is also not just buying the vessel, but having a unit delivered to a recycling yard prior to the budget date. With Ramadan due to commence early May and the budget timing in Bangladesh clearly in everybody’s minds, the next two weeks could become vital for any Owner wishing to take advantage of these impressively firm rates as, thereafter, the general feeling is that the market may see a decrease in levels back down to those on offer from Indian and Pakistan. With the amount of Capesize bulk carrier units that have been introduced into the market, the feeling is that there are now only 2 or 3 actual breakers open for larger tonnage in Bangladesh, thereafter if levels do dwindle away, then we could expect the breakers in India and Pakistan to pick up the mantle. As has been seen in the past, on the back of an active sector in the market (i.e. 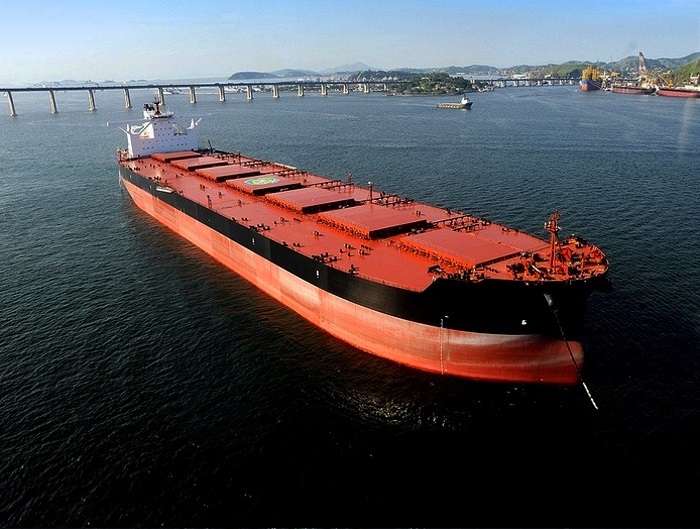 capesize bulkers), suddenly the market is awash with rumors and gossip of many more such units, however actual sales reported this week remains minimal and perhaps Owners and brokers alike are just toying with the market to see whether any further improvements are achievable. However, if indeed the Chattogram (ex Chittagong) shores lid starts to burst, then some may regret being too optimistic! With the Easter holidays on the horizon, a slowdown in activity may start to be experienced with fewer sales candidates being circulated”, Clarkson Platou Hellas said. Meanwhile, in a separate report, GMS, the world’s leading cash buyer, said this week that “some frantic buying ensued this week as the upcoming monsoon season and annual budgets begin to close in across the various subcontinent locations, both of which are expected within the next 4 – 6 weeks or so. 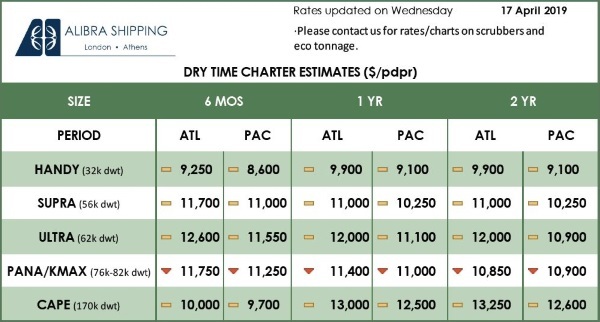 Once again, Bangladesh is leading the way with most of the buying, particularly for a majority of the large LDT Capesize bulkers, VLOCs and containers on offer. However, there have also been some interesting sales into India, particularly one container vessel that was sold for a massive USD 480/LDT this week! Pakistan has also been creeping up of late as demand grows markedly following over six months of excruciatingly inert buying. However, local offerings still remain among the lowest across the subcontinent, even though there are signs of life starting to emerge once again. Finally, as steel plate prices soften in Turkey whilst the Turkish Lira plummeted this week, local sentiments weakened further as increasing declines are expected / feared in the week(s) ahead. As port reports start filling up in India and Bangladesh after an extremely busy last month, we can only speculate on just how much longer this aggressive buying will last. The lingering feeling is that end Buyers in Bangladesh want to import vessels before the budget is expected on June 5th, in fear of potential duties / taxes being imposed on the steel sector that would make it more expensive to purchase ships, thereby lowering local offerings. There is also the period of the traditionally weaker monsoon season to factor in, which will begin around the end of May, whereby wet tows will not be permitted and much of the labour on the yards returns to their hometowns during this rainy season, as beachings and cutting activities are hampered. It will be interesting to see if this current heat persists, particularly going into some of the holiday periods ahead (Easter, Eid, etc. ), as some rather decent numbers are being captured at present”.